Attorney Tom Moroney brings well over a quarter century of experience practicing law to his clients. His years of practice have given him a rich understanding of the diverse needs of clients in a number of areas of law, including Civil Litigation, Commercial Transactions, Estate Planning and Criminal Defense. He has worked for large national law firms handling substantial complex civil litigation. He worked as a Los Angeles County Deputy Public Defender handling thousands of criminal matters. For the past fifteen years he has worked out of his own office handling a broad range of civil and criminal matters. He offers clients advice. He works with clients on estate planning. He tries to resolve disputes before they get to litigation. 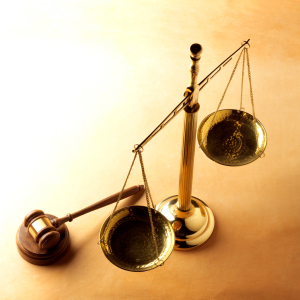 When disputes cannot be resolved and litigation arises, he handles all aspects of civil trials and appeals. A main emphasis of Tom Moroney’s practice is commercial/business litigation, ranging from simple contract disputes to complex commercial litigation involving multiple parties and substantial claims. His many years of residence in the South Bay area give him a unique understanding and ability to help local businesses and residents. He has also given back to the community by providing pro bono service at the AIDS Legal Services Project, and the HIV & AIDS Legal Services Alliance. This service has not gone unrecognized, for he is a past recipient of the Los Angeles County Bar Association Outstanding Pro Bono Attorney Achievement Award. A resident of Hermosa Beach for over 25 years, Tom Moroney opened his office in Torrance in 1997 and has been practicing law in the South Bay area ever since. Whether you own a business and are facing a civil litigation matter, need assistance with planning your estate effectively, setting up a corporate entity, are facing criminal prosecution for a misdemeanor, or have been injured in an accident because of another’s negligence, Tom Moroney has the breadth of legal knowledge and experience to help. Call today to arrange a consultation. If you are contacting me via this site’s contact email, please provide enough detail so that I can understand what assistance you require.